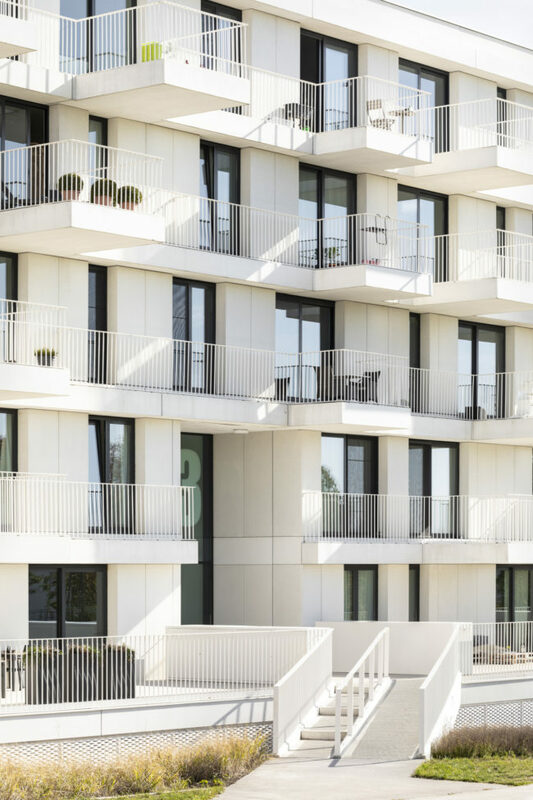 In Tienen the green light was given for the development of a new living quarter holding 230 flats. 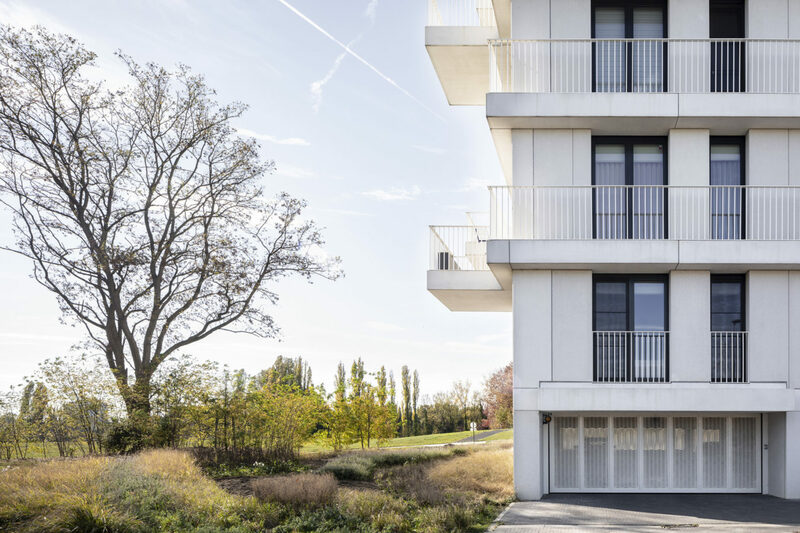 This project is at only 1,5 km from the Tienen Market place and lies close to the adjacent Viander Park with its ponds, playgrounds and a children’s farm. The area consists of the Provincial PIT domain, a former boarding school in a park-like area, an adjacent forest stands on the west side of the school and a pear orchard on the south side. A new masterplan, the dividing of the land and the image quality plan turn these three different areas into a unique living quarter in a 17 hectare park, consisting of detached houses, semi-detached houses, terraced houses and flats. The former PIT building has been torn down and is being rebuilt in such a pure and flexible structure that it can be shared by the 22 different types of flats to come. Six vertical circulation cores will connect the semi underground car park, the street level, the park and the dwellings with each other. This building will be a landmark in the northern part of the Anemoon site. 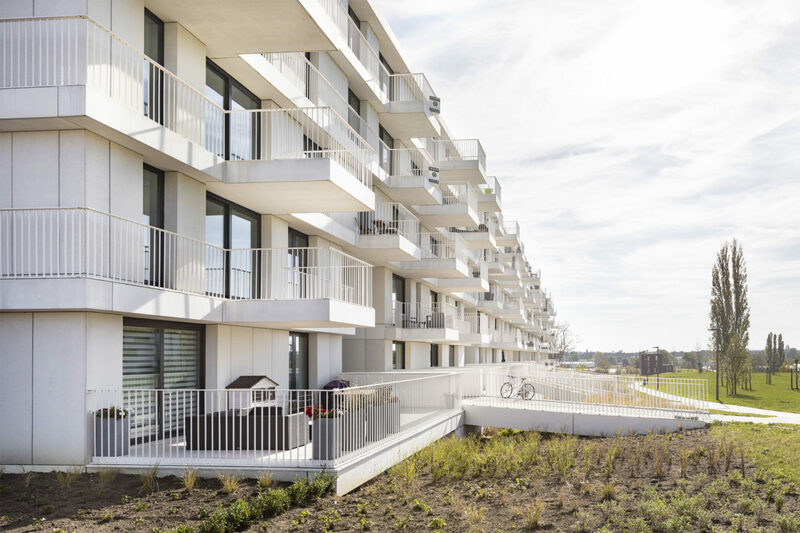 On the outside there will be white concrete panels, aluminium frame windows and big beautiful terraces for each apartment, offering a view of the landscape park and the city of Tienen.